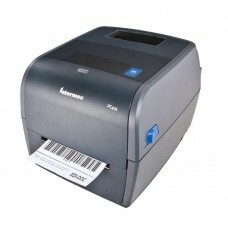 Intermec PC43t Label Printer, .. The Intermec PC43d is designed to set a new standa..
Pegasus BP-4001E , Thermal Tra..
Pegasus BP-4001E Thermal Transfer Desktop PrinterP..
Zebra GC420t - Thermal transfe..
Zebra GK420t - Thermal transfe..
Best value in a Desktop PrinterThe Zebra GK420T Th..
Zebra GX430t - Thermal transfe.. Wide range of features and optionsThe Zebra GX430t..
Zebra GT800 Desktop Printer, 4..
Providing enhanced performance and reliability at ..
ZD420 Desktop Printer, 4" Ther.. Reliable performance, easy media handlingThe easie..